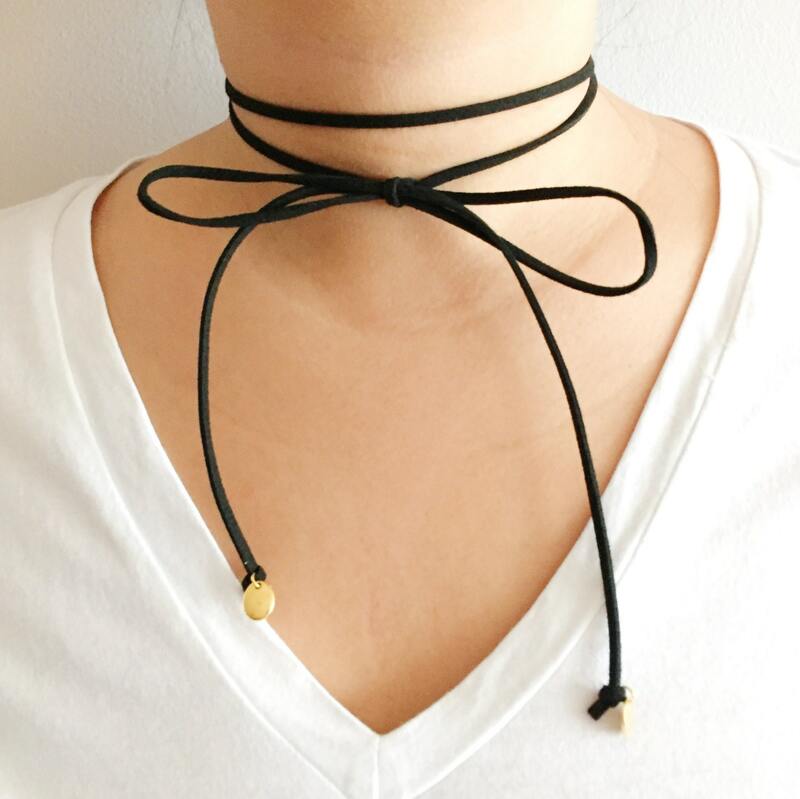 This is an on-trend, easy to wear choker necklace made of black leather suede lace. 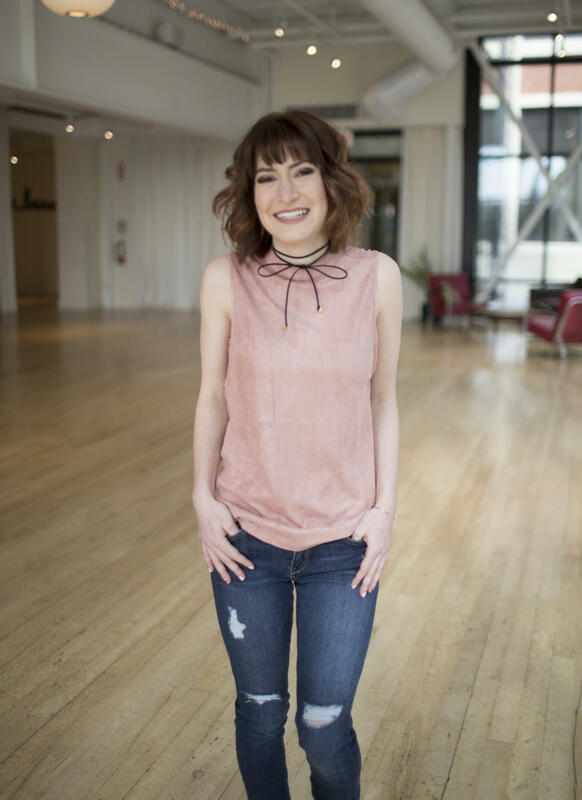 The choker can wrap around twice and can be easily tied into a bow. The choker measures about 50 in. and is finished with small gold plated oval brass charms. Due to the handmade nature of this piece, please allow 1-5 days for production time.